Education Northwest (ENW) has had the honor of working with many Native educators, students, families, and community members throughout their 51-year history. These partnerships reflect a core value of their organization—the desire to address inequities within our education system and to ensure that all children and youth have the opportunity to reach their full potential. ENW believes that healthy Native communities are essential to the health and well-being of our region, and remain committed to this effort. ENW’s former colleague, Steve Nelson, dedicated his career to working with tribes, communities, and schools to improve American Indian students’ success in academics and in life. 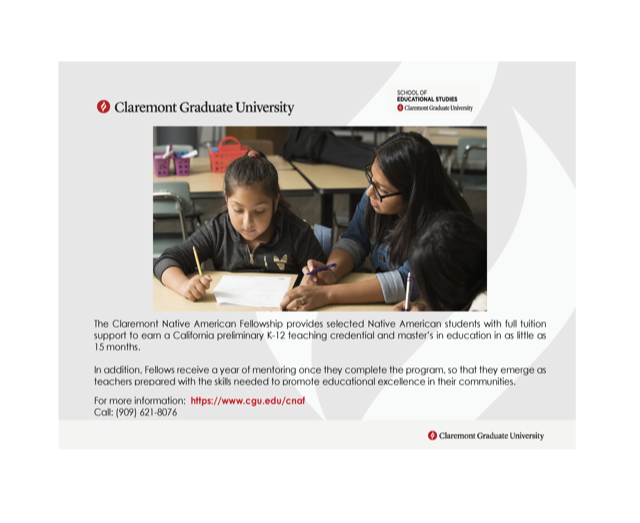 This program honors his work by providing selected students with as many as three years of annually renewable scholarships. Awardees will receive a maximum of $5,000 each year, and we will award as many as five scholarships per year—one for a resident of each state in our primary service region of Alaska, Idaho, Montana, Oregon, and Washington. 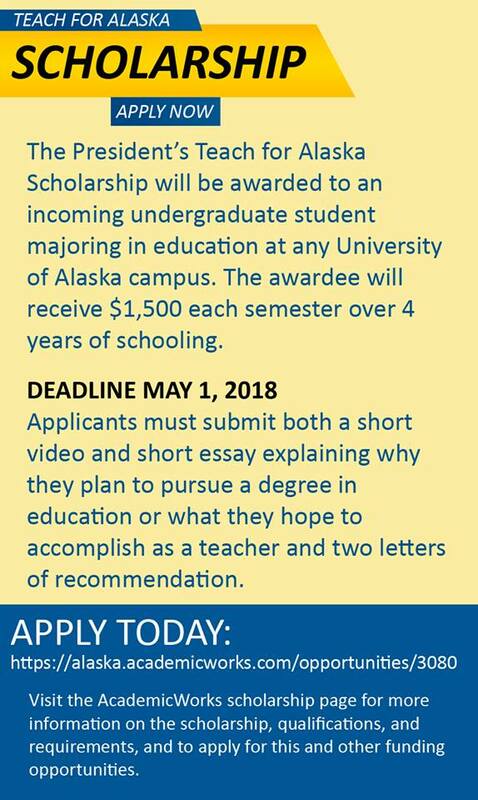 A scholarship has been created to build a team of educators trained in Alaska to grow Alaska’s youth and ultimate workforce! The Scholarship prize is a $12,000 UA Presidential Scholarship to any of UA’s campuses. • Explain – via two formats – why you want to become a teacher in Alaska. 1. What are the qualities you believe every teacher should possess? 2. As a teacher, how do you think you would inspire others or change lives? 3. As a teacher, how would you empower others to drive change in our state? • The written statement can be no more than 140 characters and must answer one or more of the questions listed above. • A video no longer than two minutes in length, housed on a separate Vimeo or YouTube site. Please provide a link to that video within the form you’re about to complete. This video should also answer one or more answers to the questions listed above. The Scholarship prize is a $12,000 UA Presidential Scholarship to any of UA’s campuses. The scholarship opportunity will be open for entries February 3 through April 3, 2017.